Way back when I was in training I don’t ever recall any sessions about setting up a classroom. I think it pretty much came down to the school you ended up in and what you inherited from the teacher before. The same goes for creating the right kind of atmosphere in the classroom. We all have our own creative styles which greatly influences the rooms we spend 8+ hours a day in. Here’s my 5 top tips for creating a calming atmosphere in your setting. Some of us are #Team~colour and some #Team~neutral. Whichever camp you fall into, I have toe in both, it plays a huge part in creating a calming feel but it’s not the only factor. During my career I’ve had every colour I could get my hands on including clashing borders. I can honestly say I didn’t notice any obvious changes in children’s behaviour but the difference was the ‘feel’ of the room. Whether using brights or neutrals I keep my boards the same. Same backing, same border and same header. In doing this, I think it gives the décor consistency. Sounds odd but when it comes to sorting out and putting your stuff where it goes, do it straight away. Don’t move it from one pile to another. Get rid if it’s not needed, file if you do. Unnecessary clutter isn’t calming. Everything should have a place. Don’t keep furniture just because you inherited it. Ask yourself, does it deserve its place in your learning environment? Evaluate how it’s used. Is there a better use? Does your classroom have a feel of space? Is it cluttered because of too much furniture? Same goes for these. Do they deserve their place too? Are they presented in an appealing way, allowing the children to make considered choices? Take photos of how areas and resources look when everything is back where it belongs. Not only does this help children to tidy, it helps other adults in the room too. Plants bring nature inside and adds a natural look. Obviously choose plants safe for children or alternatively you can buy some really attractive faux plants. 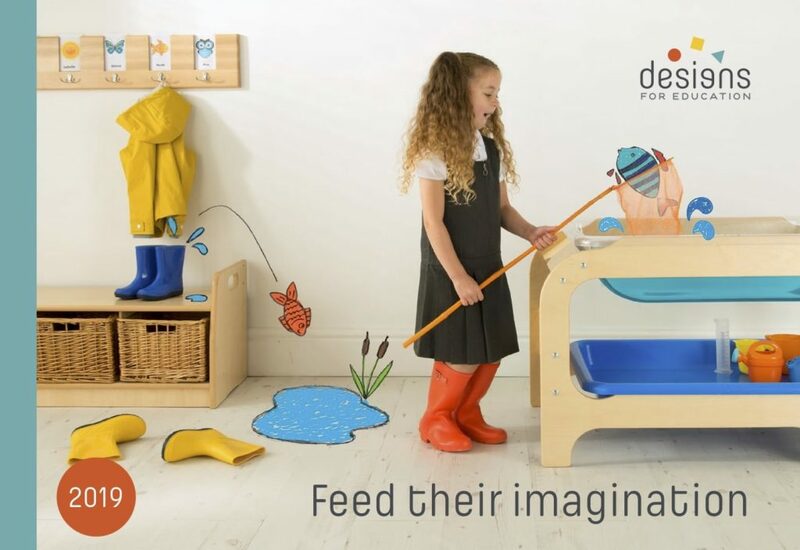 Designs for Education are specialists in creating specific learning zones in their classrooms which fulfil the requirements of the EYFS. For more information or to book a FREE room planning consultation, click here.